A little over the top right there, but anyway: you can now purchase the HTC EVO 4G at Sprint.com, Sprint retail stores, at RadioShack, Best Buy and Walmart. The device sells for $199.99 with a two-year service agreement and after a $100 mail-in rebate with a new line activation or upgrade. Sales of the Android 2.1-powered dual-mode 3G/4G handset with 1GHz Qualcomm Snapdragon chip, a 4.3-inch display, 8 megapixel camera, personal WiFi hotspot feature and front and rear cameras commence now, but they are limited to five per customer. With the battery life on this thing, we recommend you get all five of them, just to make sure. We kid, we kid. A little. Check out Matt’s MobileCrunch review and MG Siegler’s TechCrunch review. And go through our tips and tricks to learn how you can squeeze a bit more battery life out of this phone. It’s the only annoyance keeping it from being the Best Android Handset To Date™. 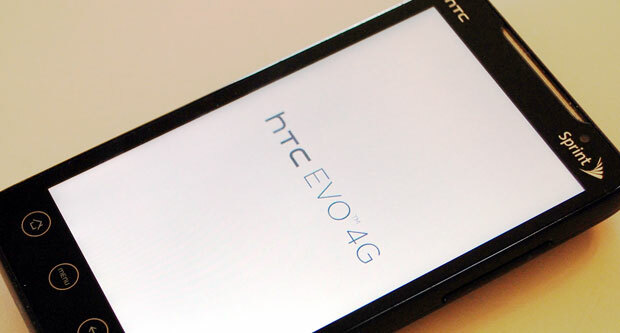 Update: more on two-way video chat on the EVO 4G, powered by Qik Video, and the pricing here.